Call of Duty Is More Than Fancy Weapons. It's Also Fancy Outfits. Some people love Call of Duty. Some hate it. Some are totally indifferent. And then, some enjoy dressing up as Call of Duty characters. 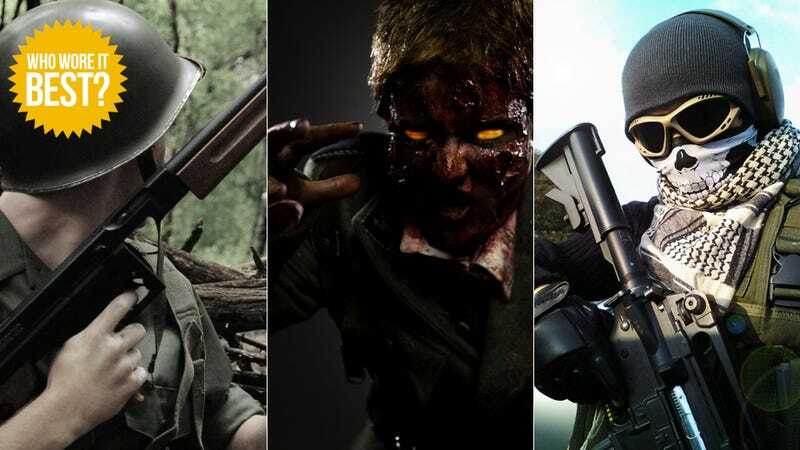 Here's a bit—but not all—of the internet's best COD cosplay. The outfits range from the earlier Call of Duty games to the more recent ones, like World at War, Modern Warfare 2, and the first Black Ops. And yes, there are zombies. So have a look at the above gallery, and try to suss out who pulled off the best Call of Duty. And check out Kotaku's review of Call of Duty: Black Ops II. Click the image's lower corner to expand to full size.